Is the Nebulizer the same as Humidifier? Is the Nebulizer the same as Humidifier?Definitely the answer is no.How to distinguish the function of a nebulizer and a humidifiers? Generally,humidifiers selling in the shopping mall is very common in our life.However,there are a lot of people should not be very cleared about the nebulizer.Actually,the the nebulizer only can be bought in the pharmacies or specialized medical equipment store.Why do people fail to tell the difference between nebulizer and humidifiers? 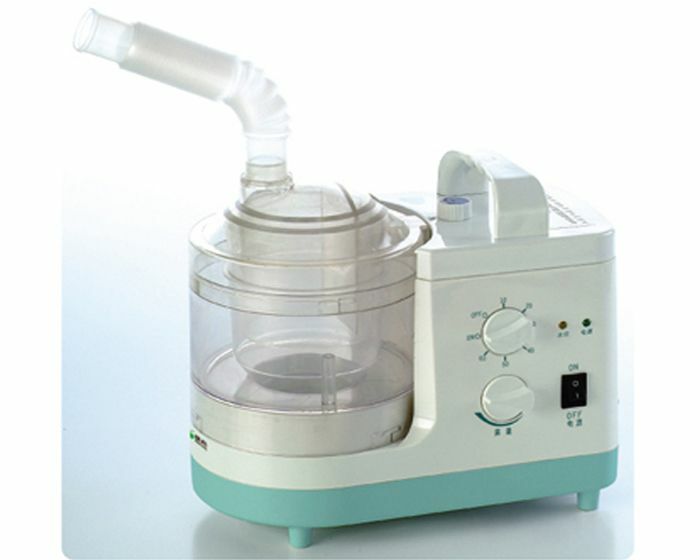 Because both the nebulizer ans the humidifier use of the theory of ultrasonic,whether it is from the working and sparying of mist,performing the same.But the ultrasonic nebulizer can be used as a humidifier,the humidifier can not be used as an atomizer,nebulizer is a medical device,it is used to make the drug atomized. The biggest difference between the nebulizer and humidifier is the size of atomizer.An ultrasonic nebulizer working frequency is 1.77MHz above,arising out of the mist particles with only about 0.4-1 microns,which will cause drugs absorbed by the body more easily,while household humidifier operates at 1.7MHz,its fog particle diameter is larger than nebulizer’s,so the humidifieris is impossible to work as a nebulizer. Humidifier market products currently divided into three categories:the ultrasonic humidifier,direct evaporative humidifiers and thermal evaporation type humidifier.Nebulizer is including Atomizer ultrasonic nebulizer and compression atomizer. So,we need to clear about our own need before we chose the machine.It would be better to chose a Nebulizer to treat?respiratory disease,while buy a Humidifier is to Increased humidity at home. MEDSINGLONG GLOBAL GROUP CO.,LTD are able to offer a range of medical products,such as Ultrasound machine,X-ray machine,portable Nebulizer,Dental equipment,Autoclaves,ECG,Blood analyzer,Biochemical analyzer,Vet equipment,Radiation protection equipment and so on.Whether the hospital or clinic,or for personal use,you can find your own favorite products.Our mission is;No the best,only better!We are ready to serve you.